Most workplace lunchrooms have a common refrigerator where staff can put their lunches to keep them fresh during working hours. And also in many workplaces, we often hear stories of co-workers taking other people’s goods—even when the items are labeled. 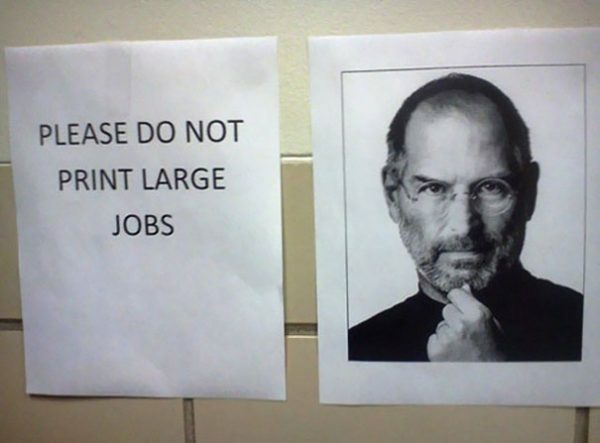 And indeed, some of these stories become the stuff of workplace legend! 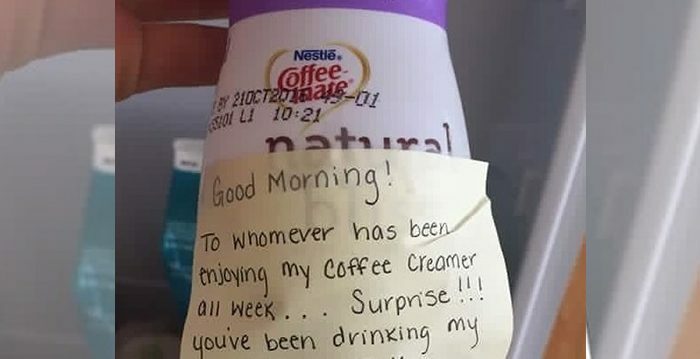 In one instance that went viral online, a woman brought her own coffee creamer to work and placed it in the staff refrigerator, and, to her dismay, she soon realized that someone in the office was using it. So, she decided to take matters into her own hands and teach the culprit a lesson. 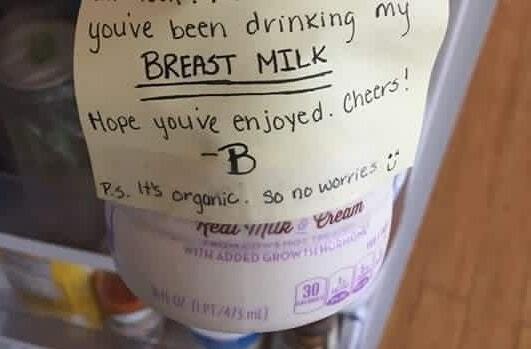 She decided to put a note on it, and what she wrote has since garnered much attention online. 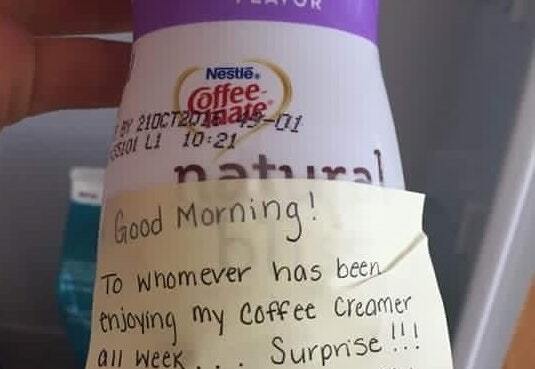 She taped the note on the coffee creamer bottle and placed it back in the office refrigerator for everyone to see. Guess what it said? 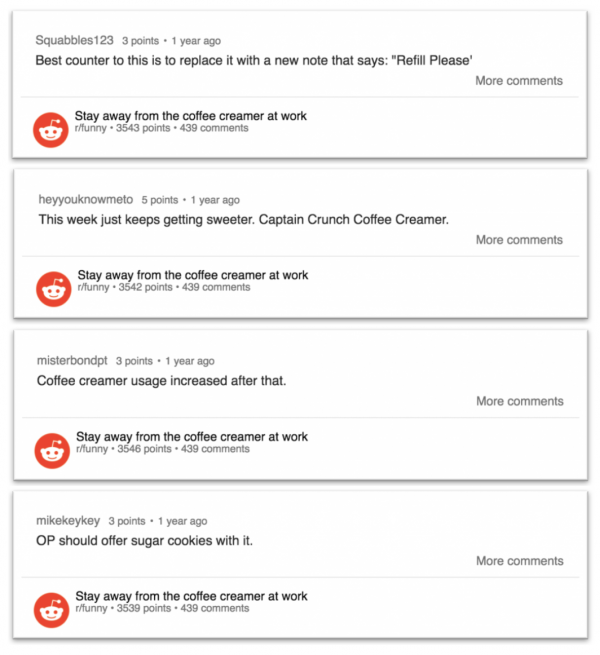 To whomever has been enjoying my coffee creamer all week … Surprise!!! As for whether it was true or not, that’s anyone’s guess, but one can assume the culprit probably had second thoughts about borrowing the creamer after that episode! 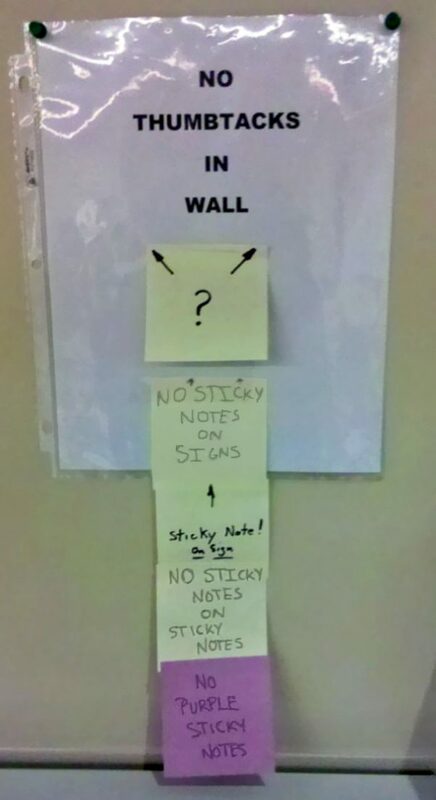 Of course, we don’t know what the reaction was when the thief saw the note, or if there was one, but there have been similar instances of clear labeling at the workplace where co-workers have indeed taken the time to respond. 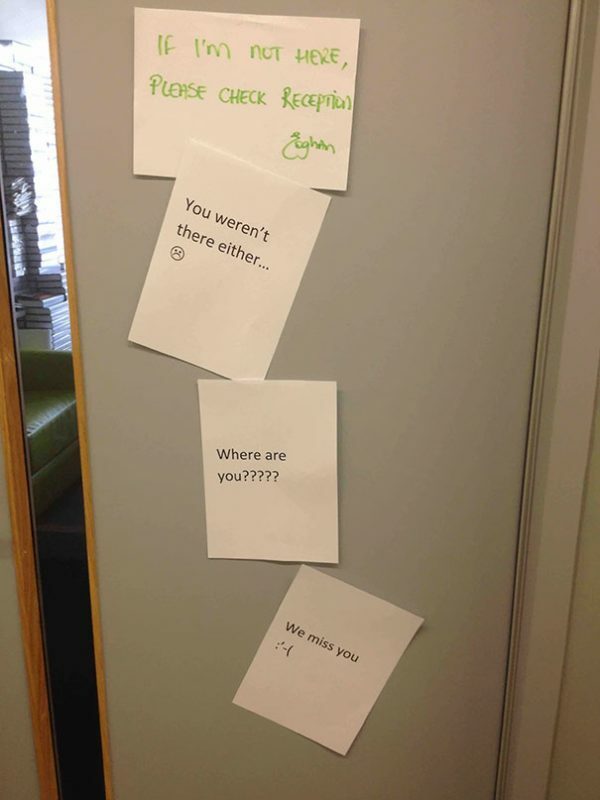 And some of the responses are actually quite hilarious! What’s the main lesson learned from all of this? 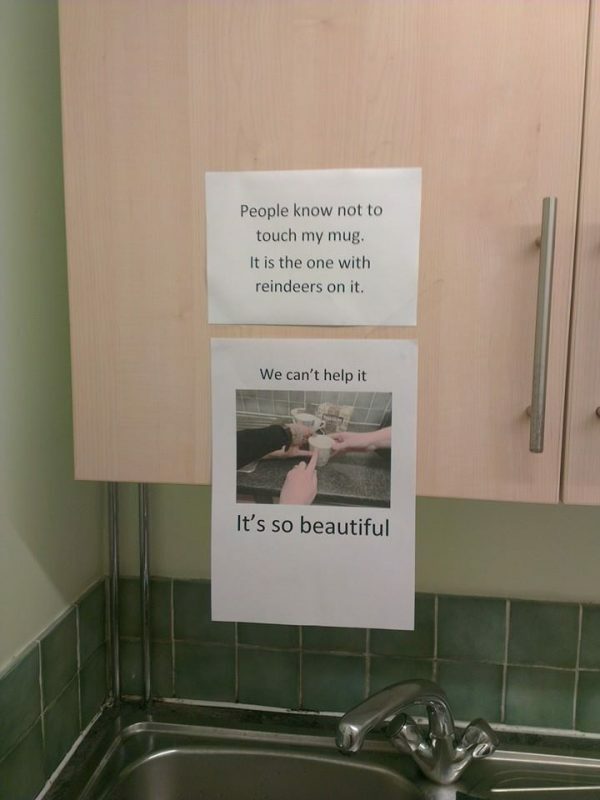 Be considerate, and don’t take stuff that doesn’t belong to you. You’ll never know what type of comeuppance will be in store!